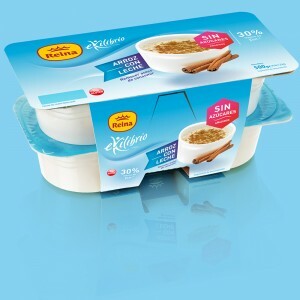 At breakfast, as a snack, at supper… Any time is right to enjoy an Ekilibrio dessert, because they have no added sugars and they’re delicious. What are you waiting for to enjoy your favourite dessert? 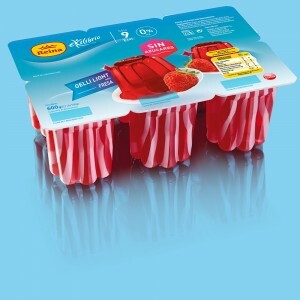 This refreshing dessert is composed of strawberry. 100% vegetable origin, 0% fat, 0% sugar and gluten free. Very typical homemade dessert, made with soft rice in cream and milk with a special hint of cinnamon. No added sugars. Jelly dessert 100% vegetable-based. 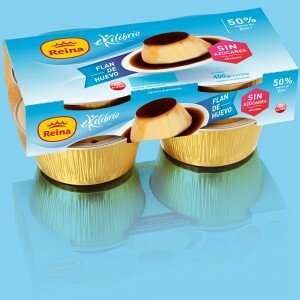 0% fat, no added sugars and gluten-free. 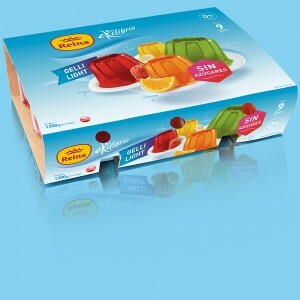 With strawberry, lemon, orange and tutti fruti flavours. 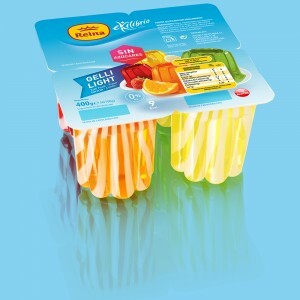 This refreshing dessert is composed of lemon, orange, strawberry and tutti frutti flavours. 100% vegetable origin, 0% fat, 0% sugar and gluten free. 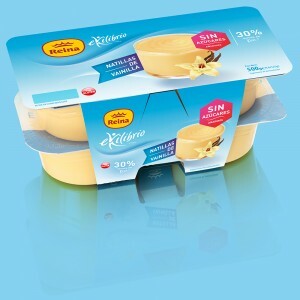 The Ekilibrio line has been created as an option for anybody who wants to care for their health without missing out even slightly on the authentic taste of a traditional dessert, because Ekilibrio products have no added sugars while keeping all their taste, thanks to Postre Reina’s know-how and their work in R&D. This egg pudding with no added sugars has more protein than one made with the traditional recipe, with all of its flavour. What’s more, it only has 92 kcal. 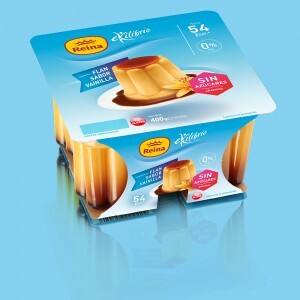 This exquisite vanilla-flavoured dessert has only 54 kcal. That’s 50% less than the traditional one and it has no fat. Why not get serious about staying in shape by having one every morning? 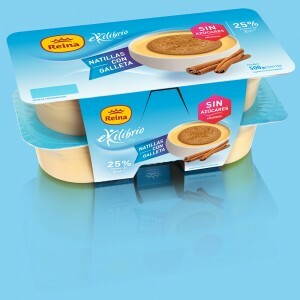 These Vanilla Custards contain 30% fewer calories than traditional custards. If you want to take care of yourself without missing out on the taste of traditional custards, this is the dessert for you.